Bathroom fittings or sanitary ware is a vital cog that uplifts the beauty of newly built as well as renovated homes by leaps and bounds. Over the course of a decade or so, bathroom fittings have come a long way from being mere pieces of ceramic and marble. In India, the customer base is increasingly demanding sanitary wares that don’t just last for a long time but also leave a lasting impression with their stylish design! 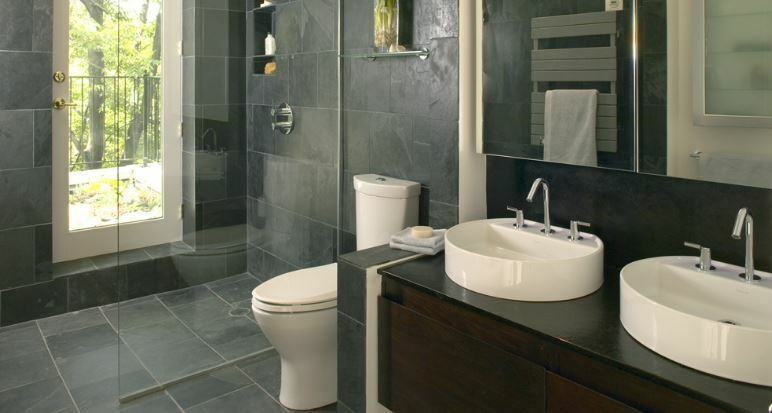 Bathroom fitting brands have upped the ante in this regard which has left the customers spoilt for choice. However there are very few brands that have proven their excellence on three vital counts that determine their growth trajectory; price, style and durability. Below are the top 10 best bathroom fittings brands in India 2019. Better known as Eros Standard, the company is active since 2008. It has managed to be in the same league as other bigger brands mainly due to the fact that its manufacturing plant is located at one of India’s most prosperous state Gujarat. Eros sanitary ware has all the regular bathroom fitting solutions with lots of priority given to its counter basin and table top basin range. Some of its standalone products are Intrica brasso, Intrica Flora, Intrica goldie etc. As newer players continue to bombard the market with their lusciously grand looking bath fittings, Somany takes the cake for bringing the most affordable bath fittings in India. And the best part is the fact that design stays at par with contemporary designs boasting of international appeal. Currently, Somany has also stocked exclusive shower range including the now popular rain shower! It is a huge brand in itself that has made itself a staple in the bathroom sanitary ware market in India since 1958. The primary agenda of providing germ free sanitary ware translates aptly in its huge range of products ranging from bath fittings, toilets, cisterns, and other allied products. Furthermore, the clean sanitary ware program of Johnson bathrooms incorporates the concept of nano technology and silver nano particles to annihilate bacteria and fungi that make bathroom fittings their breeding ground. A relatively new brand name for it has been in the market for just one decade, Roca needs no introduction overseas. In India, Roca has joined hands with Parryware to boost its operations and sale in the hugely prosperous market in India, What Roca has brought to the table is unprecedented Spanish sanitary ware design that has been lauded in 135 countries for its inclusive R&D programs. Prior to being partner with Parryware, Roca had a brief stint with Murugappa Group in India for its expansion. Neycer has been a silent participant and yet it is on the list of top 10 bathroom fittings in India. The Tamil Nadu based company came to the fore in 1980 and since then it has continuously grown in stature and popular in India courtesy its strong Pan India network. From wall hung toilets, floor mounted EWCs to tabletop wash basins, bidets, cistern and urinal; Neycer has it all. What started as a successful journey in the market of home décor with its incredible stock of tiles, Cera has now become a formidable brand of bathroom fitting in India. Cera’s entire range of bathroom fittings has a rustic charm of European design which has been blended with perfection over the years. Each and every product of theirs has a humungous range to accommodate style and budget requirement of its consumer. By signing popular Indian film actress Sonam Kapoor, the brand plans to get some mileage to be on the top of the league. Nothing but the word magnificent describes the bathroom fitting catalogue of Kohler, a company found in the US by Austrian immigrant John Michael Kohler in 1873. Kohler bathroom fittings have maintained international standards of comfort and design across its faucets and other plumbing solutions; it also has a kitchen fitting collection that delivers the best. But perhaps the most eye catchy inclusion in its repertoire is the Artist Editions that features glass countertop, undermount lavatory, faucet with Marrakesh design to name a few. Design ideas for Kohler include Numi, described as most advanced toilet. The other two being Veil and DTV+, both using advanced tech to facilitate automation in toilet opening. Parryware has been a consistent bathroom fittings manufacturer that has strong network in suburbs and rural pockets of India. One of its marquee products has been electronic toilet that has been built on the principle of anti microbial seatings, a concept first introduced by Parryware. Indian market is more than open to international standards and style of bathroom fitting and Jaguar has capitalized big time on this market gung ho that puts the high in the list. Jaguar has an array of brilliantly crafted showers, free standing bath tubs and sanitaryware. The Manesar based Jaguar holds majority of stake in South Korean luxury shower making company Joeforlife. Its Essco group of bath fittings is considered the best of class. What sets Jaguar apart is the fact that it has endeavored to lead the market in the steam solutions, sauna and spa fittings. Hindware is India’s leading bathroom fitting manufacturer for more than three decades hands down. Recognized as Superbrand in India, Hindware is focusing on Italian marble and bath fittings for quite some time now. Its wash basins, faucets and cisterns have been in the list of bestselling products. The Gurgaon based company is also the first to bring Vitreous China sanitary in 1962. Currently Hidware’s line of stylishly designed products is available in its Hindware Italian collection and Hindware Art. Much as these bath fitting brands have been in the business, some other brands like TOTO, Rak Ceramics India, Duravit have stepped up in the market as well. Business predictors are of the opinion that sanitaryware business is going to see its prime in the upcoming owing to growing interest among people for glamorizing their bathrooms. What’s more, with the real estate business on a high, sanitaryware can also tap into this frenzy to supply the needs of average household bathrooms, starred hotels and penthouses. Most importantly, with the government of present time up to the act of ensuring clean sanitation in every nook and corner of the country, bathroom fitting companies can be the biggest beneficiaries. I like your bathroom portfolio! I want to open a sanitary studio in my city Alwar Rajasthan,can u please suggest me a suitable brand of sanitary ware that can fulfil all my customers demand and make them satisfied with the product. What about toto brands. Because we are going to purchase house, in that toto brands are fitted. Kindly suggest me, wether it is ok or should change, if change , suggest the brands. What about grohe ? Not in this list!!! Grohe is also one of Top Brands. Its a Premium Brand and so, generally concentrates on High End/Premium Product Line-up. Hello sir, I am interested to open a mid budget sanitary ware and bath fitting store in a district place in Madhya Pradesh. So pls let me know that which can company comes in my essential requirements and budget for a complete range of the products to do so. If you want to get more inforamtion about Hindware Product, you can brwiese the all Hindware’s sanitaryware products from http://www.hindwarehomes.com. I want to buy Hindware sanitaryware Products, please let me know about Hindware official website so that i can browse more Products of hindware. We Need Bath Accessories Can You Provide Your Catalog.